Carbon and my burning log. The flames of the fire hold my senses hostage. 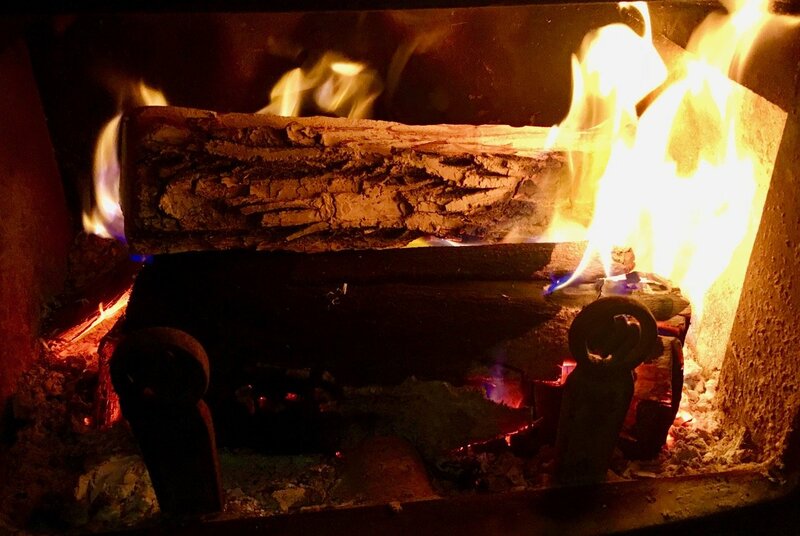 Staring at the orange flames dancing upward I hear the crackling release of carbon entombed in the hardened cell walls of the log. I feel the heat, a byproduct of the transfer of energy as the log is transformed from a solid to a gas. I stare. My mind wonders….what happened the year the carbon was captured from the atmosphere to make this log perhaps a hundred years ago? 1918: Woodrow Wilson is President of the United States, the trenches of Argonne empty and World War I ends. Fritz Haber, a German physicist is awarded the Nobel prize for inventing the process to make nitrogen fertilizer from the air (the atmosphere is about 72% nitrogen), the last captive Carolina Parakeet dies in the Cincinnati Zoo, Nelson Mandela is born, the carbon dioxide level in the atmosphere is 290 ppm. 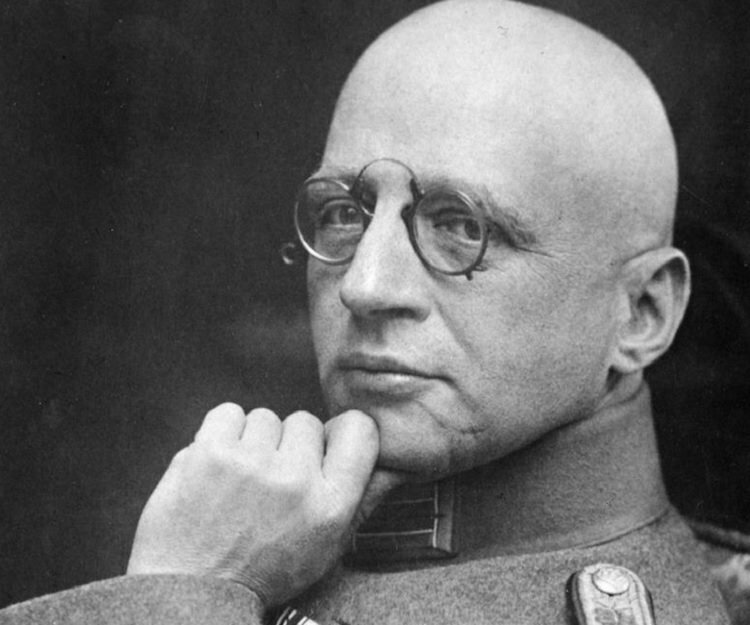 Fritz Haber, the monster that fed the world was awarded the Nobel prize in 1918. 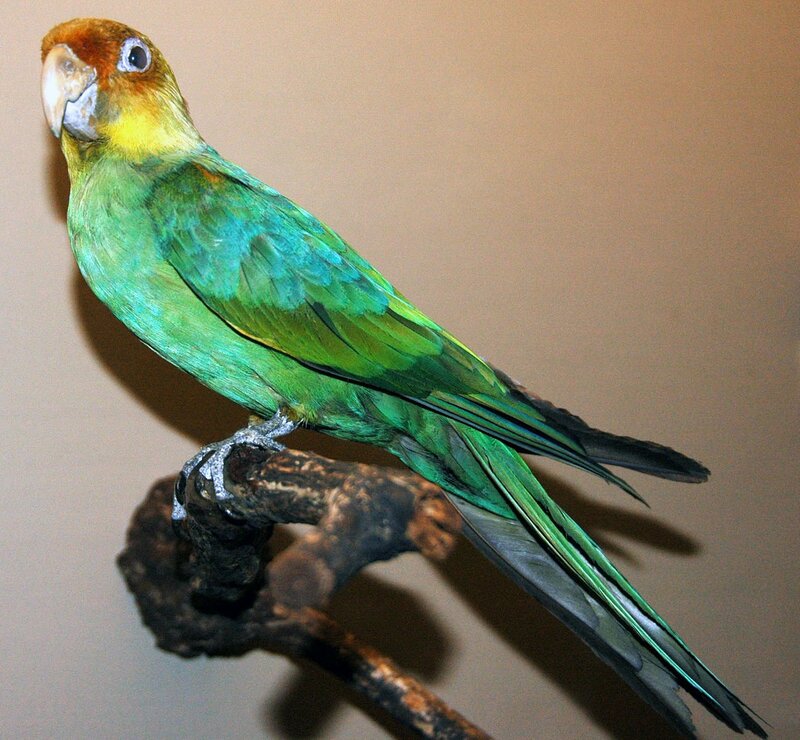 The extinct Carolina Parakeet. Incas, the last one, died in the Cincinnati Zoo in 1918. Photo by James St. John from the Field Museum of Natural History in Chicago, Illinois. The Carbon being released as a gas from the log I watch was a combination of cellulose, lignin, and hemicellulose, all complex compounds containing carbon. The carbon cycle is one of the most important and profound ecosystem services on Earth. Plants take carbon dioxide in through photosynthesis and make sugars out of it. Animals eat the plants to make cells and grow. Animals die and their carbon filled bodies are consumed by microbes in the soil. Cover it up for a million years, add pressure and presto, we have coal and crude oil – fossil fuels. One of the greatest functions of the soil beneath our feet is to capture, recycle, and store carbon. The soil is the largest terrestrial reservoir of carbon. We often hear of the macro-nutrients necessary for plant growth – nitrogen (N), phosphorous (P) and potassium (K) – but we don’t hear much about carbon as a nutrient. We don’t fertilize with carbon because plants take in carbon without human intervention. In the past 100 years, we humans have extracted trillions of tons of solid and liquid entombed carbon from the depths of the Earth in the form of coal and crude oil. The world extracts and uses about nine billion tons of coal per year and about thirty-five billion barrels of crude oil per year. Humans have been on a fossil fuel binge economy since about 1900. Coal-fired power plants release pollutants into the air such as CO2, nitrogen, and mercury. One of the by-products of all this conversion is the release of carbon dioxide into the atmosphere. Carbon dioxide is one of the greenhouse gases that trap heat. In 2016 the last place on Earth without a 400 ppm CO2 concentration is reached – Antarctica. 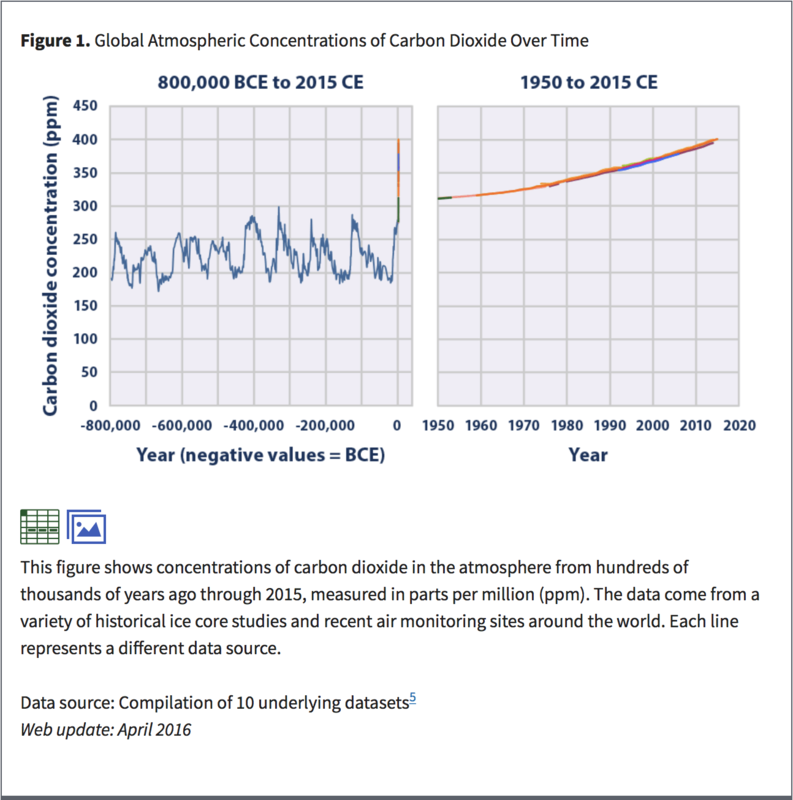 The Earth has not had this much CO2 in the atmosphere in four million of years. Fossil fuels have served humanity well but it is time to move on. Scientists warn us that we need an atmosphere with a concentration of CO2 no higher than 350ppm. Higher concentrations of CO2 cause our climate to change….warmer temperatures, more violent storms, more wildfires, more droughts, and sea level rise. Our challenge is to lower the concentration of CO2 in the atmosphere. We can do this. First by reducing carbon going into the air and second, by capturing carbon in the air and putting it back into the Earth. This is called carbon sequestration. The cool thing (pun intended) is that we can use plants to do this. Reduce carbon going into the atmosphere. We need to put a CAP on carbon. Many countries and now US states are establishing carbon diets for carbon-emitting practices such as coal-fired power plants, car and truck exhaust, and agricultural tillage. We can then put a tax on carbon emissions above the established diet limits. Revenue created by the taxes or from established carbon markets can be used to create incentives for practices that sequester carbon such as solar and wind energy, lowering transportation emissions, reduced agricultural tillage and carbon farming. This is called CAP and TRADE. 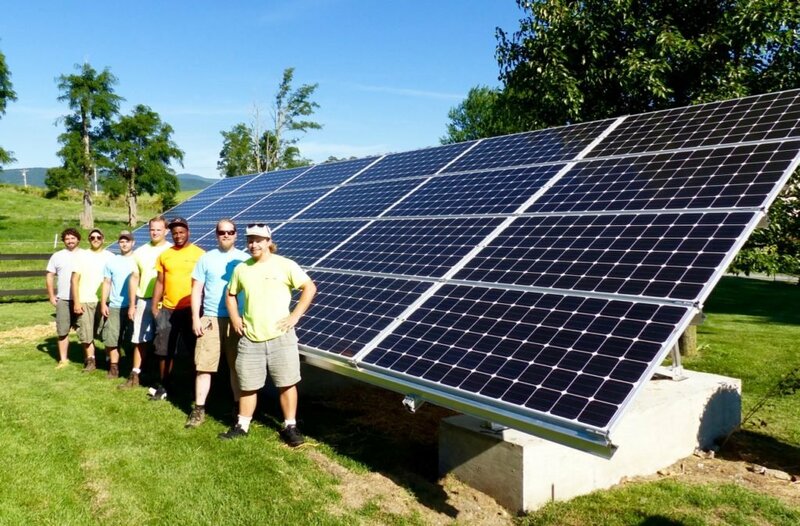 Altenergy Staunton crew with a solar array installed in Augusta County, VA.
One of the recently created carbon markets is the Regional Greenhouse Gas Initiative (RGGI) – the first mandatory market-based program in the US to reduce greenhouse gas emissions. Nine New England and mid-Atlantic states are members including three Chesapeake Bay states: Delaware, New York, and Maryland. Legislation was introduced this year in Virginia to join the initiative but the bill was killed in committee along party lines. Democrats wanting to join and Republicans not. In fact, Republicans introduced a bill to require legislative action to join the RGGI. The bill passed along party lines. All Chesapeake Bay states should join the RGGI or create their own carbon markets because it will help restore the Bay and improve human health. Breathing cleaner air is good for us! The post Carbon in My Burning Log appeared first on Getting More on the Ground.